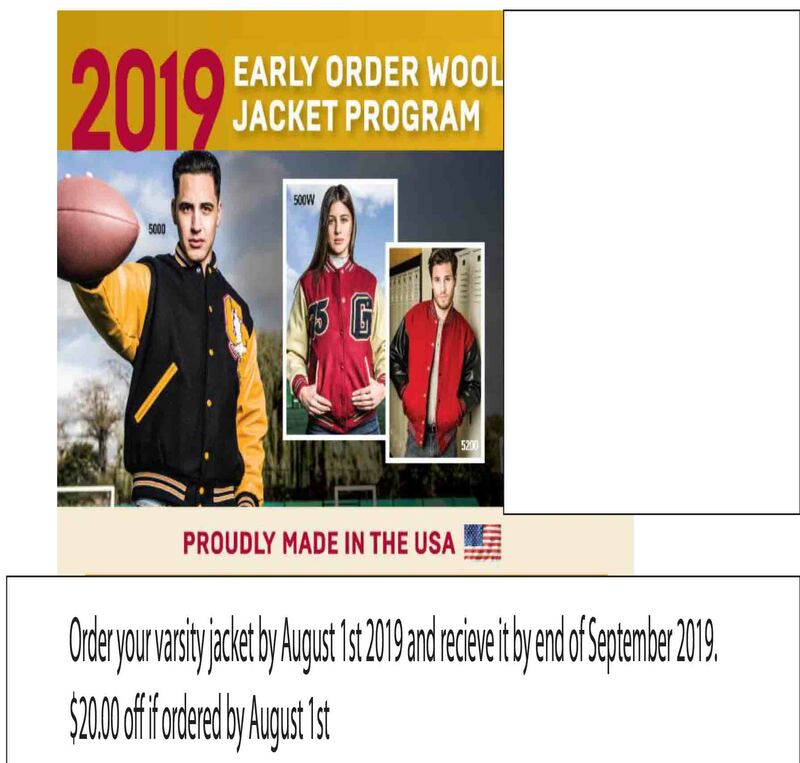 Order your Varsity jacket between 4/1/2019 and 8/1/2019 and Save $20.00. Group order will go in 08-02-2019 and you will receive jacket by end of September 2019! As of March 25th 2017, we are now located at 300 Shore Rd, Cornwall on Hudson NY 12520. Same Phone number and same email!